Do you recognize any of these buildings? 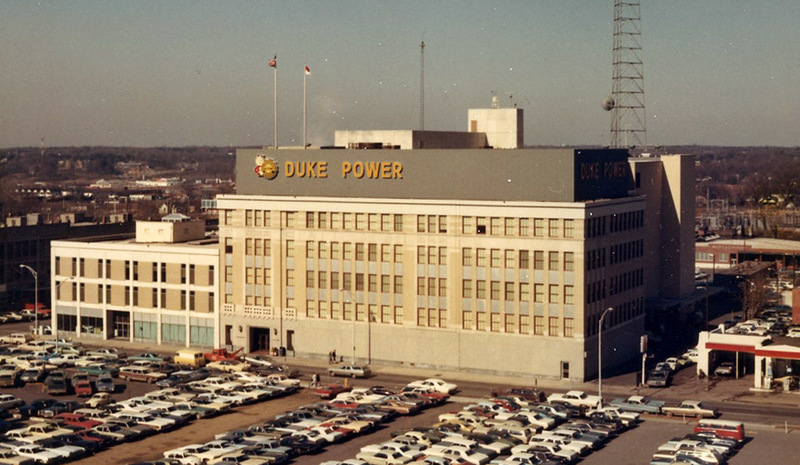 From Charlotte to Cincinnati to St. Petersburg, Duke Energy and its legacy companies have made their home in memorable sites and buildings. Regional and corporate headquarters have consistently stood out architecturally. With the company planning a new Uptown Charlotte office tower called Charlotte Metro, we take a look at some of Duke Energy’s headquarters buildings. 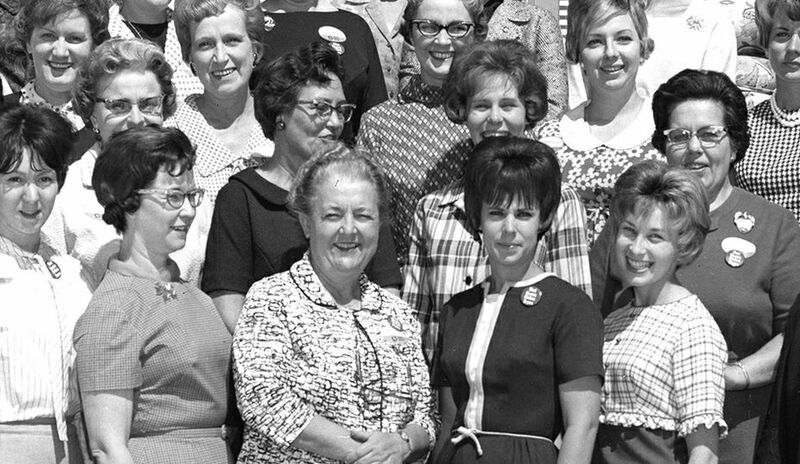 Retro photos from the Duke Energy archives are posted regularly. Sign up to get the illumination newsletter when new photos are posted by clicking here. The Power Building was completed in 1928 and served as the first corporate headquarters for Duke Energy (then Duke Power). The architect was J.A. Jones. The building was located on South Church Street at the current site of the Ally Financial building. A pedestrian walkway connected the Power Building to the Electric Center at 526 S. Church St.
Kiser’s Barbershop was located at the base of the Power Building. 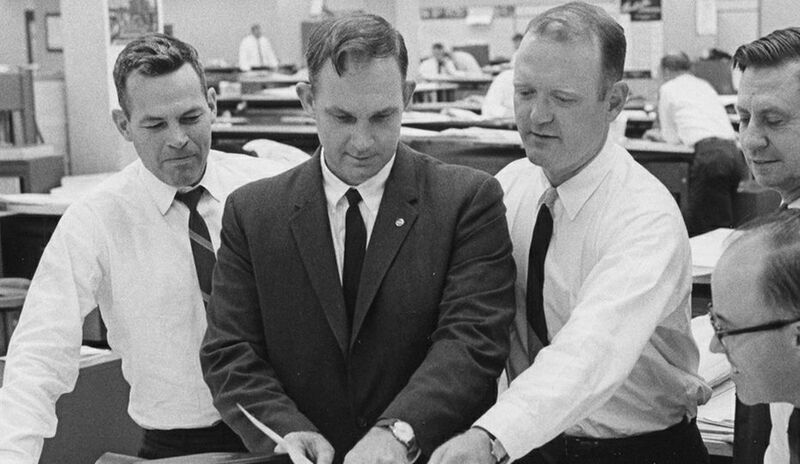 J.B. Kiser opened in November 1948 and is noted for having cut the hair of every Duke Power CEO (aside from founder James B. Duke) during the time his shop occupied a corner of the building. Kiser announced his retirement and sold the barbershop in 1997. Typically referred to by its address, 526 S. Church St., the Electric Center’s first phase was completed in 1975 to serve as modern office space adjacent to the Power Building. In 1976, the company opened a drive-through window for customers to pay their electric bills. The second phase of the building was completed in 1988. The name would also change to the Energy Center to better reflect the company’s generation mix. 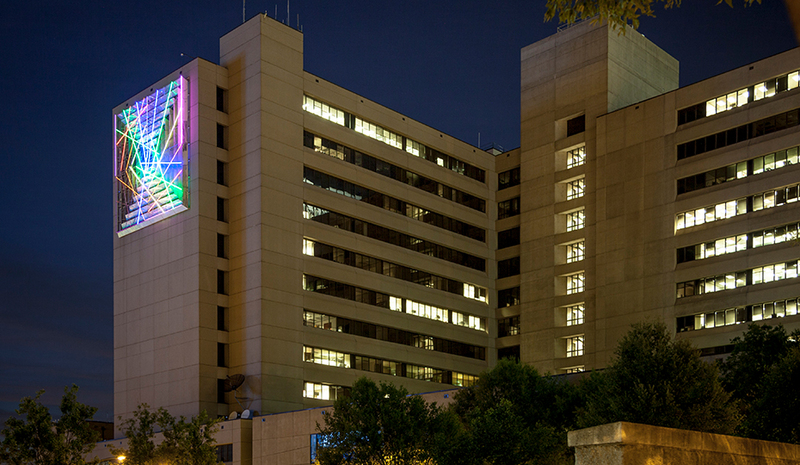 The animated light display on the side of the building is actually a public art piece designed by Michael Hayden. The 80-foot-by-80-foot installation – titled “Quadrille” – uses over 1,000 feet of Plexineon colors and was programmed so that commuters never see the same sequence at the same time. In February 2009, the company announced it was relocating its corporate headquarters to the 48-floor skyscraper. The architect is tvsdesign of Atlanta, the same firm that is designing the new Charlotte Metro Tower. It was to become headquarters for Wachovia bank, which was taken over by Wells Fargo, the building’s current owner. 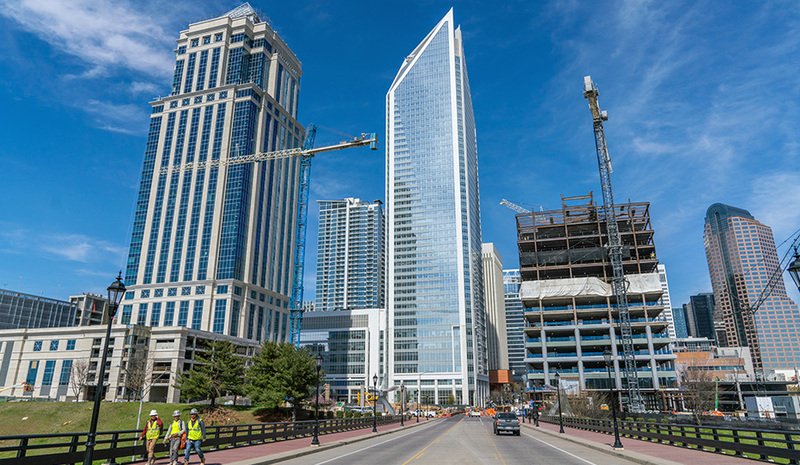 It was completed in 2010 and has become one of the most distinctive elements of the Charlotte skyline. Every night the sides and top of the building are lit up by hundreds of colored LED lights. Wells Fargo’s Lighting Committee accepts requests to light the Duke Energy Center at CharlotteSpecialEvents@wellsfargo.com. A tweet is sent on the day of the light show at @WFLightsCLT to let followers know what the day’s color scheme represents. 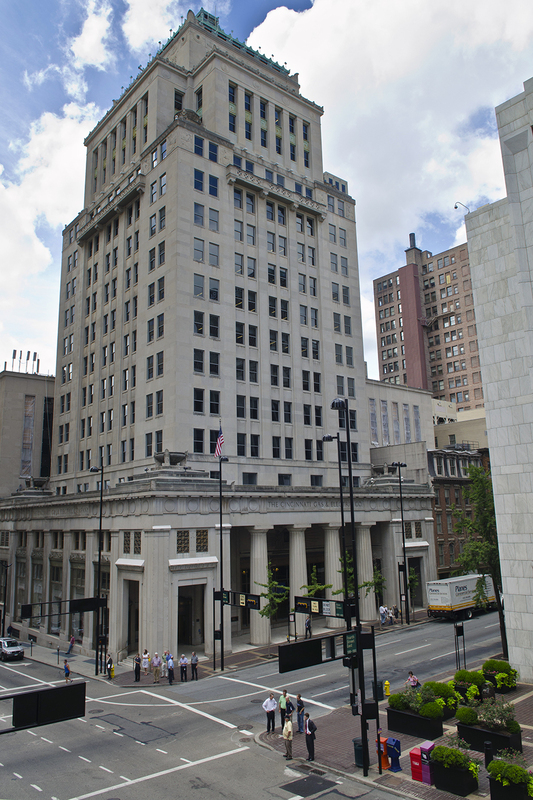 Recognizable by its distinct elements of Greek architecture, this 18-story structure was built to replace Cincinnati Gas & Electric’s headquarters at Fourth and Plum streets. 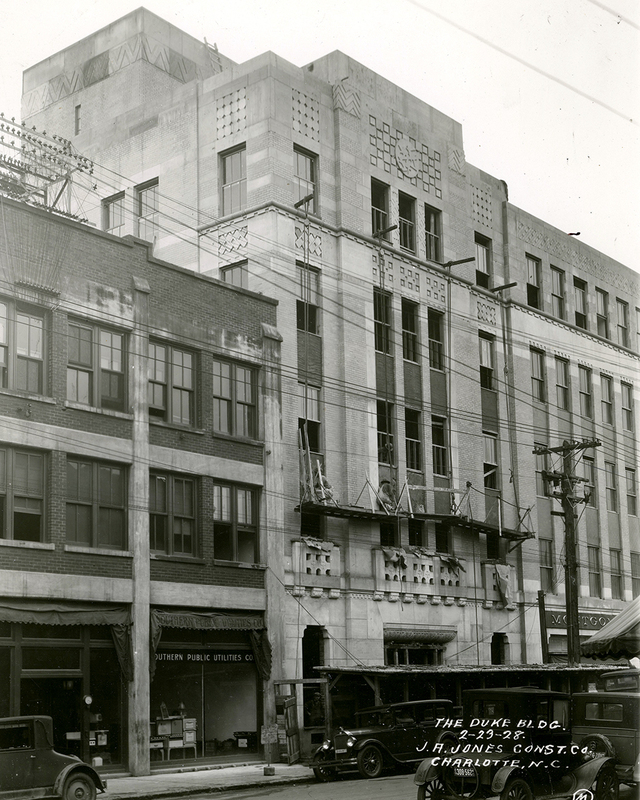 The building was completed in 1930 and the architect was Garber & Woodward of Cincinnati. The designer responsible for the exterior treatment, John Russell Pope, was also the designer of the Lincoln Memorial. The Fourth and Main headquarters was established at the same location where in 1843 W.H. Harrison’s drugstore became the company’s first commercial gas light customer. 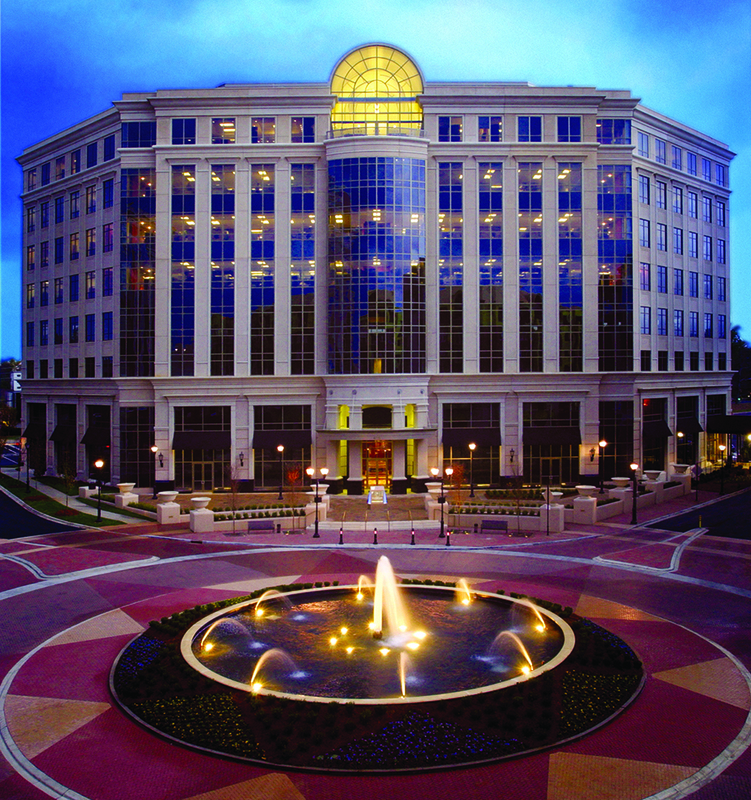 In 2005, Piedmont Natural Gas relocated its headquarters to Piedmont Town Center at SouthPark. In addition to housing Piedmont’s offices, Piedmont Town Center features other offices, street-level retail, restaurants and residential units. The company has a collection of antique gas chandeliers that has been featured in its offices since 1962. The chandeliers were created in the 1890s in England and purchased by the U.S. government for the Federal Building in Statesville, N.C. In the 1960s, they were refurbished and updated to burn natural gas. One of these chandeliers hangs in the director’s lounge at Piedmont Town Center today. Another is stored in the company’s corporate archives. 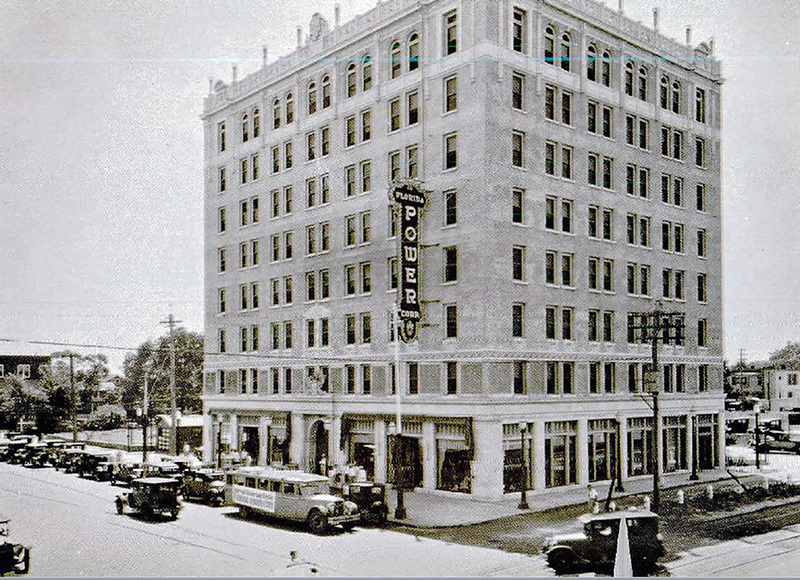 The Power and Light Building was located across the street from the St. Petersburg Times newspaper and served as the headquarters for the Florida Power Corp. from 1925 until 1972. 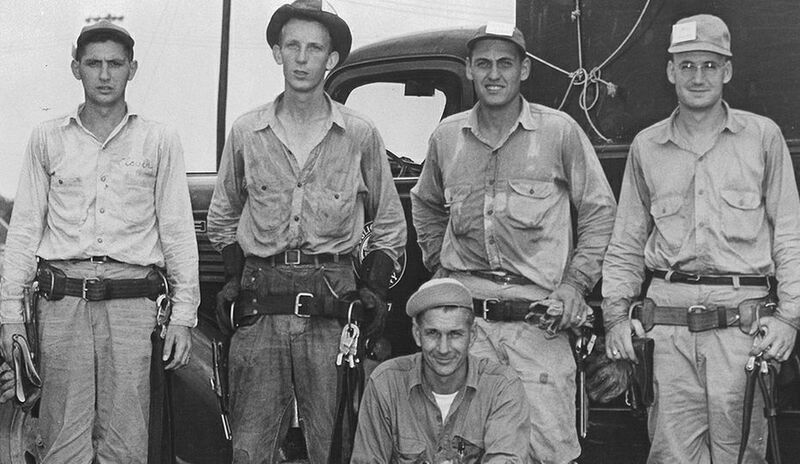 Like many other utilities, Florida Power Corp. once sold more than just electric service. Just about any appliance or household item that used electricity was for sale in the lobby of this building. The Traction Terminal was designed by D.H. Burnham & Co. and cost $1 million to construct. 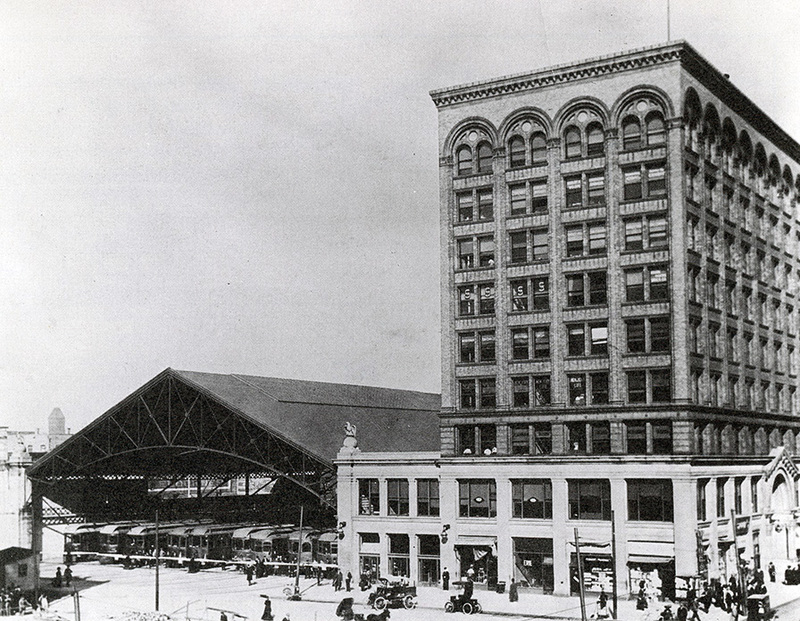 It opened in 1904 and featured a nine-track train shed, passenger waiting room and a nine-story office building, which served as the general headquarters for Public Service Indiana from 1930 to 1951. At the time of its construction, it was not only an office building but also the largest interurban station in the world. 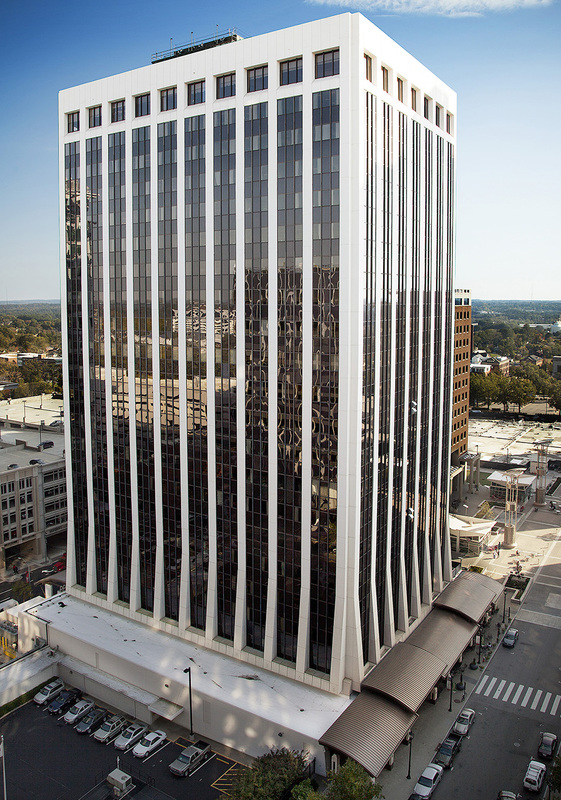 One Progress Plaza – also referred to as Center Plaza – was completed in 1977 as the headquarters for Carolina Power & Light. The 21-story building operates as Duke Energy’s North Carolina Regional Headquarters today. The 21st floor was home to the Capital City Club, an exclusive restaurant and lounge. The club closed in 2013, and today the floor has been transformed into “The Peak” – a recreational amenity space for employees. 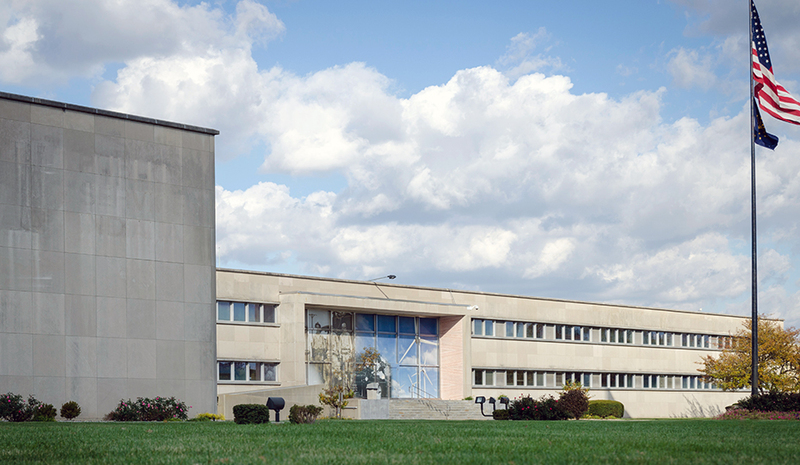 In September 1949, Public Service Indiana announced plans to build a new general office headquarters in Plainfield. 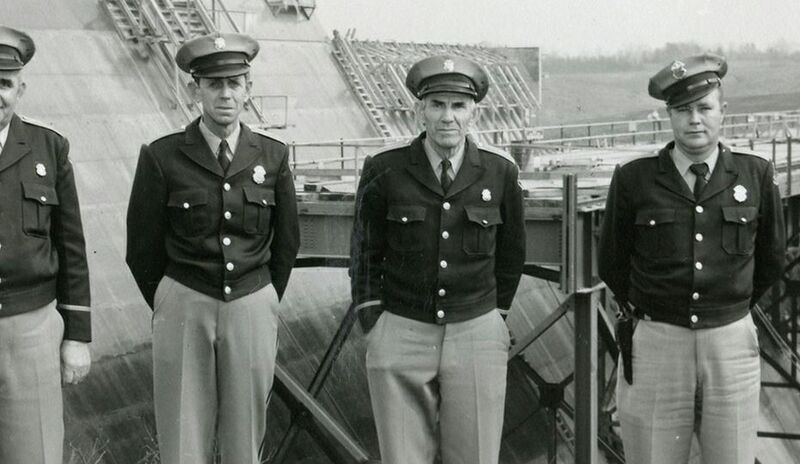 The first phase was completed in 1951 and touted by company President R.A. Gallagher for the health benefits of its location. Before the building’s grand opening, a feature writer for the Indianapolis Star witnessed movers unloading hundreds of cases of beer into the headquarters and reported that the company must be getting ready to throw a big open house without inviting the public. This caused quite the upset until it was revealed that the cases happened to be a cheaper option than moving boxes to move company records.